With Pete’s Dragon charming audiences and critics in theaters, we Disney fans can’t help but be reminded of the 1977 film of the same name. 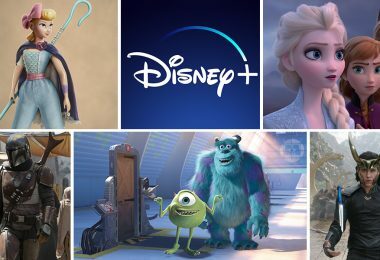 Although the new film portrays a completely different adventure, it shares the central premise of the earlier film—telling the unforgettable story of an orphaned boy named Pete and his best friend, Elliot, who just so happens to be a dragon. 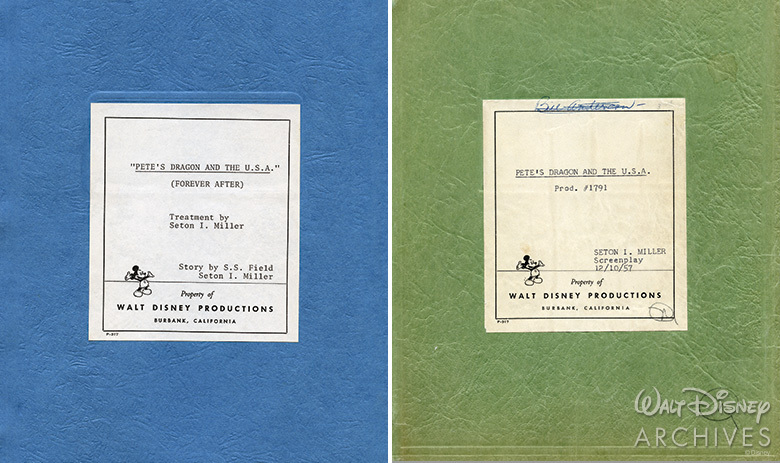 It may surprise you to learn, as we did during a recent visit to the Walt Disney Archives, that the story of Pete’s Dragon and Disney begins decades before the 1977 film, extending all the way back to 1957 and Walt Disney himself. 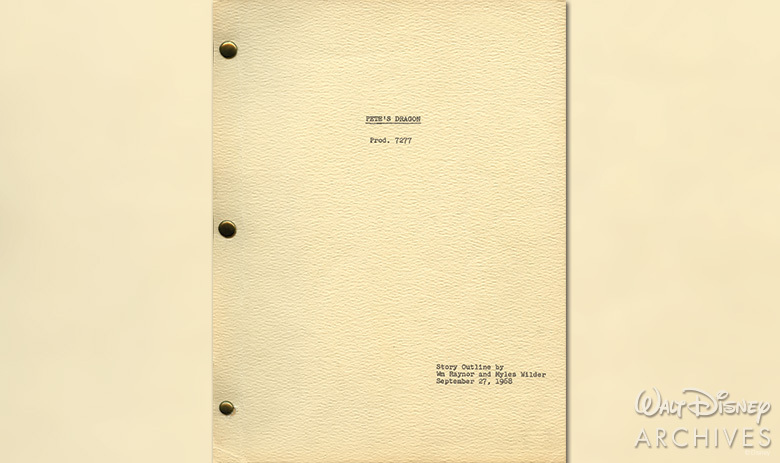 In December 1957, Walt Disney Productions hired author Seton I. Miller [who, incidentally, has a “based on a story by” credit in both films] as a film writer to write Pete’s Dragon and the U.S.A. (Forever After), based on an unpublished short story of the same name that Miller had co-written with S.S. Field. 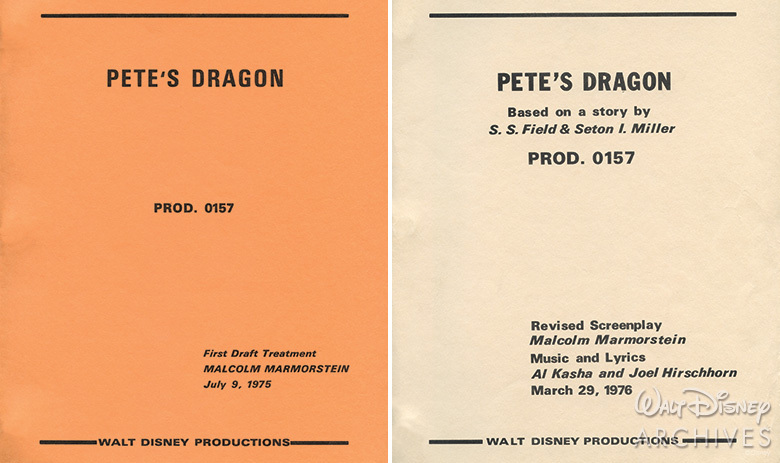 “Story #1791,” as the project was identified by the studio then, is the first record of the Pete’s Dragon property in the Archives, but records also indicate that this early work on the property ended soon thereafter. An interesting note the dragon is named “Gabriel” in the early drafts. 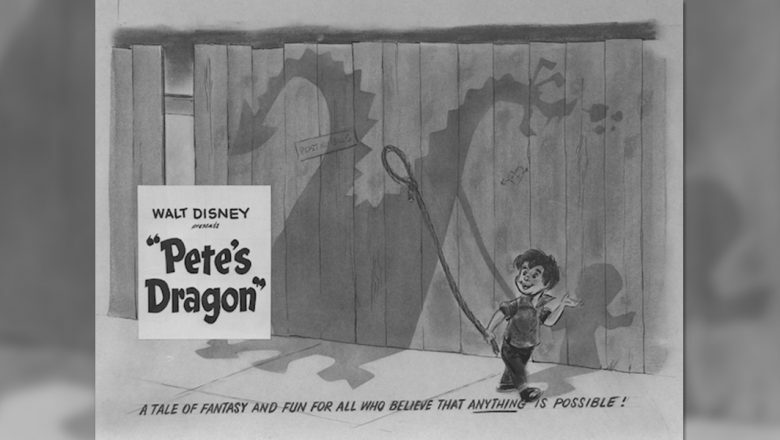 In March 1958, productions #5815 and #5816 were opened for Pete’s Dragon and the U.S.A., Part I & II—this time envisioned as a Fantasyland-branded two-episode entry for the Disneyland television show. 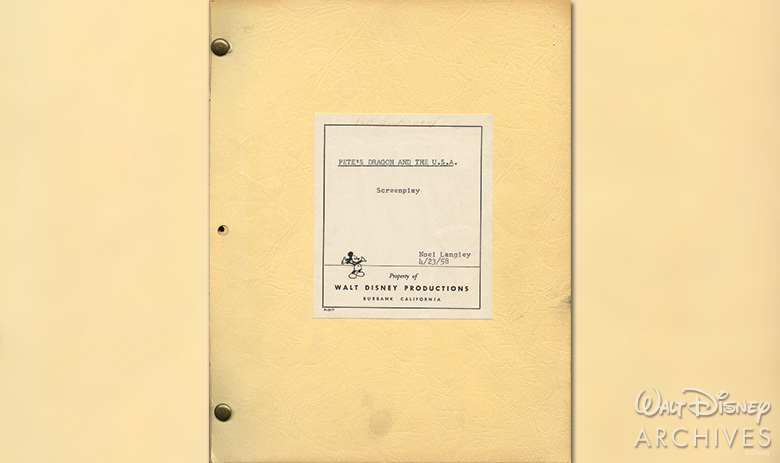 Records pertaining to that production date to spring 1958, when writer Noel Langley was hired to craft a screenplay, a work which he completed that April. Although he was drawn to the story and its potential, Walt was still deciding the best way to approach the property, and Pete’s Dragon was soon put away to mellow. 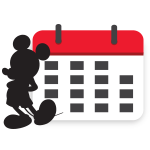 Work would not actively continue on the project again during Walt’s lifetime. 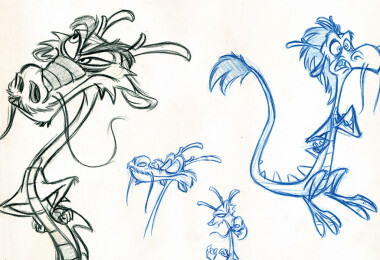 During the waning months of 1968, writers Bill Raynor and Myles Wilder were hired to further workshop the Pete’s Dragon story. 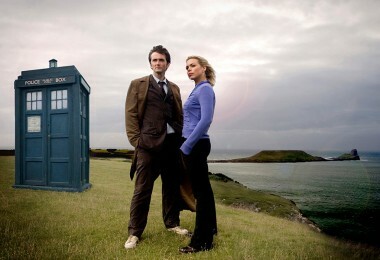 They completed their outline in October 1968 and submitted it to the studio for review. 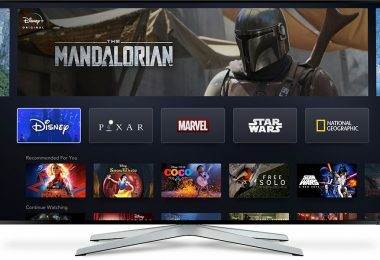 Even after this brief developmental work, the story remained within the Burbank studios’ walls, again holding the project back from pressing toward production. 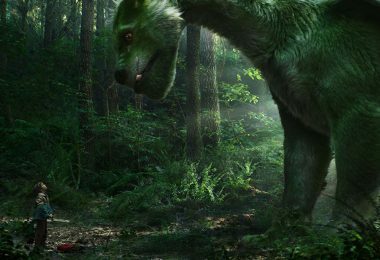 Fast forward to 1975 and work on the eventually released film—now called Pete’s Dragon—reignites. 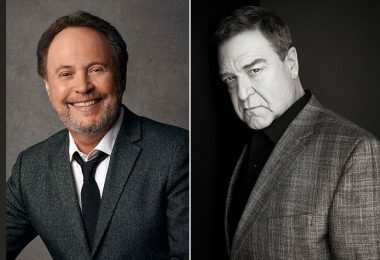 After producer Jerome Courtland rediscovered the tale, the studio hired Malcolm Mamorstein to write a screenplay based on the story by Field and Miller, and later brought on the talented songwriting duo of Al Kasha and Joel Hirschhorn to help give the project additional musical weight. 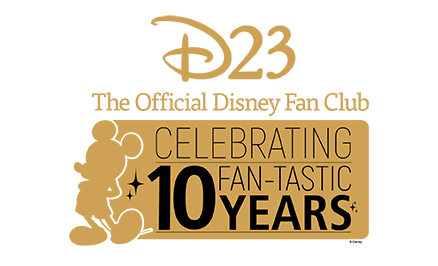 All in all, this creative combination proved to be the curing “potion” to the property’s long gestating development. The film would finally be released on December 16, 1977, delighting crowds with its “brazzle dazzle” warmth and humor. Nearly 40 years after the release of Pete’s Dragon in 1977, that premise still holds true.